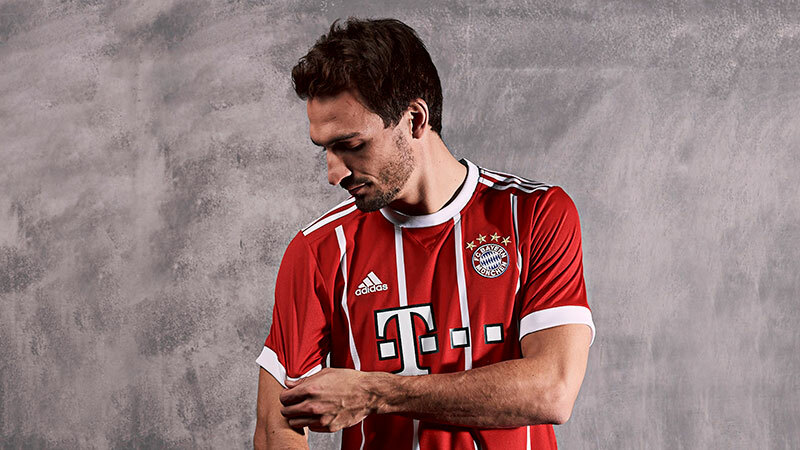 Paying homage to their glory years of the 1970s, the new Bayern Munich home shirt for the 2017/18 season is a beauty. Inspired by their wonder years, the new 2017/18 Bayern Munich home shirt has perfectly incorporated tradition while looking to the future. During the '70s, Bayern had players such as Franz Beckenbauer, Uli Hoeness and Gerd Müller wearing the iconic shirt of Die Roten — now we have Jerome Boateng, Robert Lewandowski and Thomas Müller who all wear the shirt with pride. Featuring that unmistakable Bavarian red, with four white vertical stripes on the front, this shirt looks every bit a modern classic, while providing modern day materials thanks to adidas innovations in technical, breathable fabrics and mesh engineering. The adidas three stripes have also reverted back to the shoulders after a season down the side of the shirt. 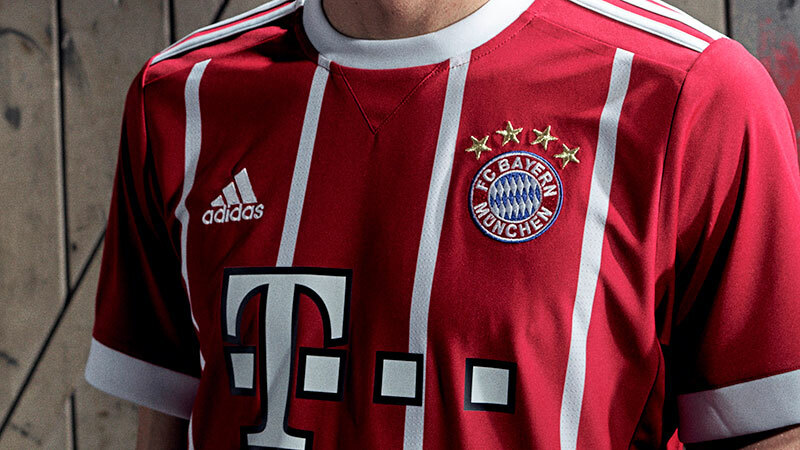 On the back, above the famous “Bayern Munchen” lettering is the club motto, “Mia San Mia”, roughly translating to “We know where we come from, who we are and what we aim for”. 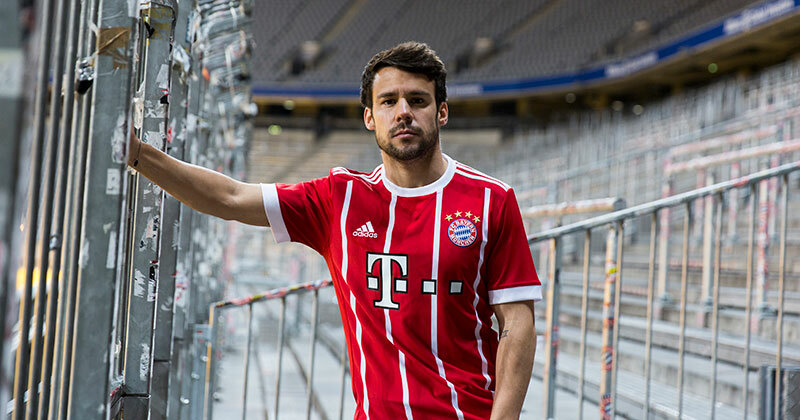 The new shirt will see its debut in FC Bayern’s final game of the season against Freiburg on May 20th. After another successful Bundesliga season, adidas and Bayern are on the brink of ‘seventh heaven’.